Today we bid a fond farewell to our young friend Ninna Damberg, our 2012-2013 Rotary Youth Exchange student from Denmark. During the past year we have come to know and love her for her sunny disposition, her eagerness for new experiences, and her friendly manner. Members of two of Ninna's host families, the Gregorys and the Kennehans, joined us for breakfast today to wish Ninna well. Ninna is a talented photographer and videographer, and today she displayed her work by doing a presentation that highlighted the many experiences she has had in her year in the US. 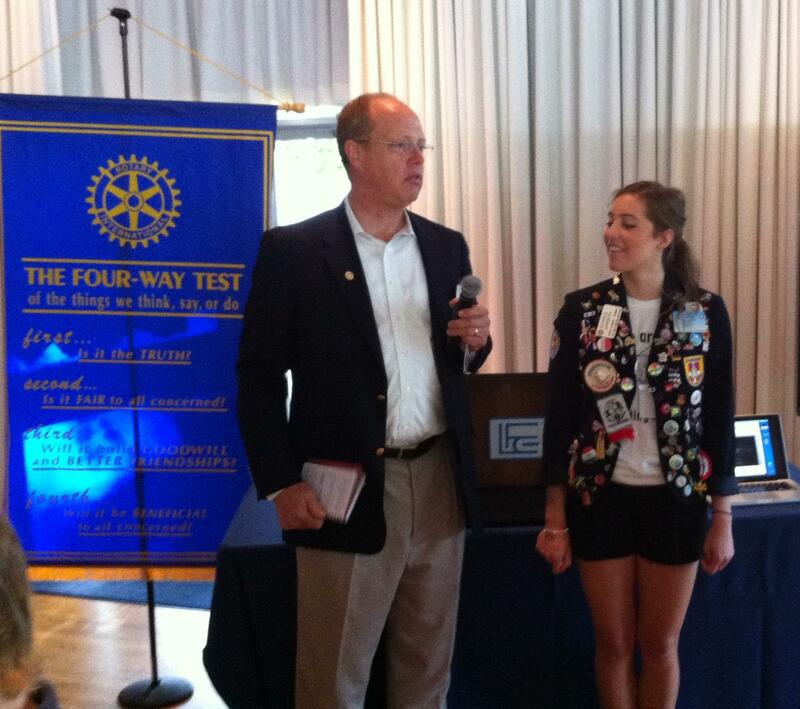 She showed a video she and the other 12 exchange students in District 6440 made about their Rotary experiences. She graciously thanked her host families and all her friends who provided new and exciting American experiences for her. At the end of her presentation Ninna showed a touching video summarizing all she has gained from the experience of being a Rotary exchange student. Ninna will be missed by all of us, but we're sure her own family is excited to be getting her back! Now we look forward to meeting our new exchange student, Valentina, when she arrives in August from Colombia.